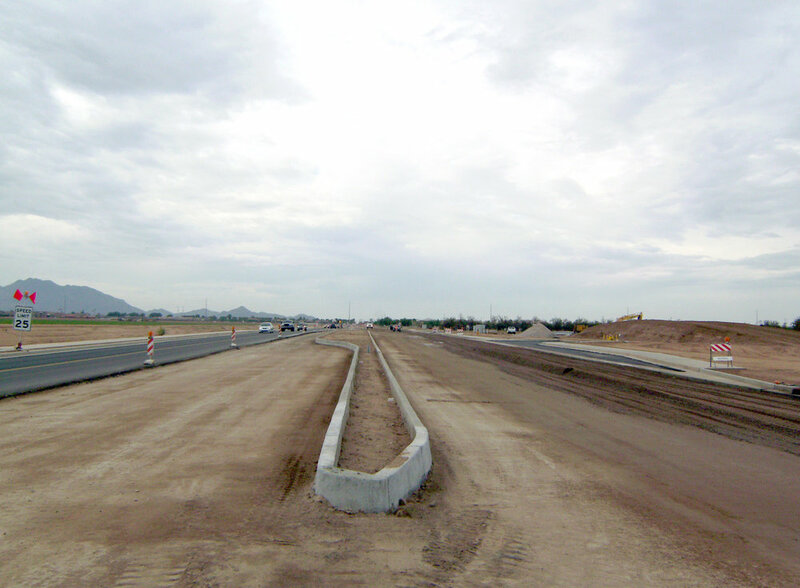 The project included new construction of Val Vista Drive from Germann Road to south of Queen Creek Road. 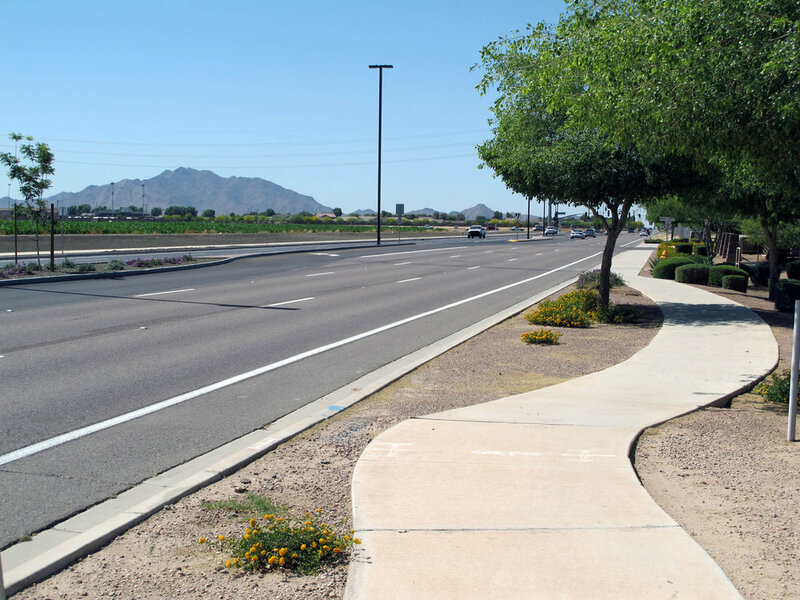 Val Vista Drive was widened to provide three lanes and a bike lane in each direction (40,000 square yards of new paving) with raised landscape medians, sidewalks (46,000 square feet), curb and gutter (17,000 LF), traffic signal modifications, traffic signal interconnect (5,000 LF), retention basins (45,000 cubic yards), street lights (34 ea), conversion of SRP overhead 12 KV facilities to underground (3,600 LF), and restoration of agricultural access and drainage including RWCD. The underground utilities included 3,600 LF of new waterline, 4,300 LF of new sewer pipe, and 5,600 LF of irrigation pipe. 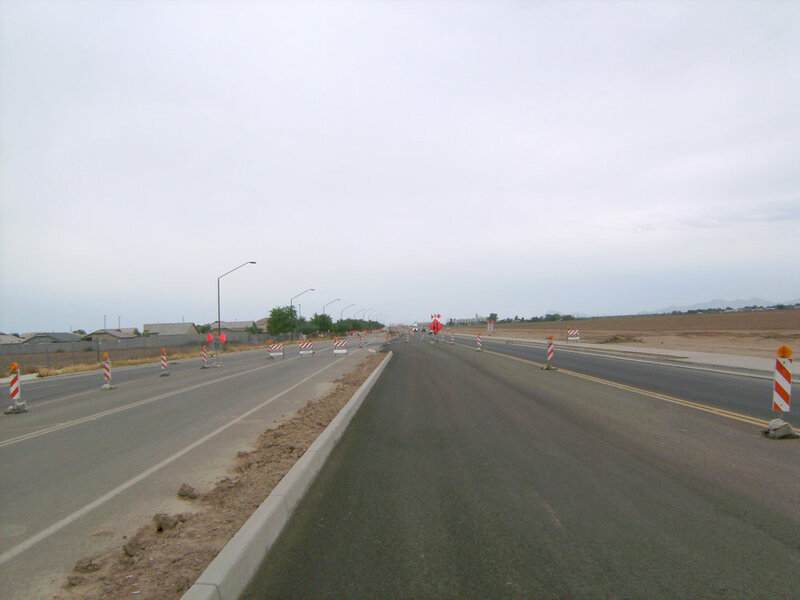 The project consisted of two phases - Phase 1 was the work associated with the RWCD dry up and Phase 2 was the remainder of the work.